Rich and chocolaty are two words that you definitely want to hear when talking about brownies, and this recipe doesn’t disappoint. Infused with a double dose of chocolate (triple if you so desire!) 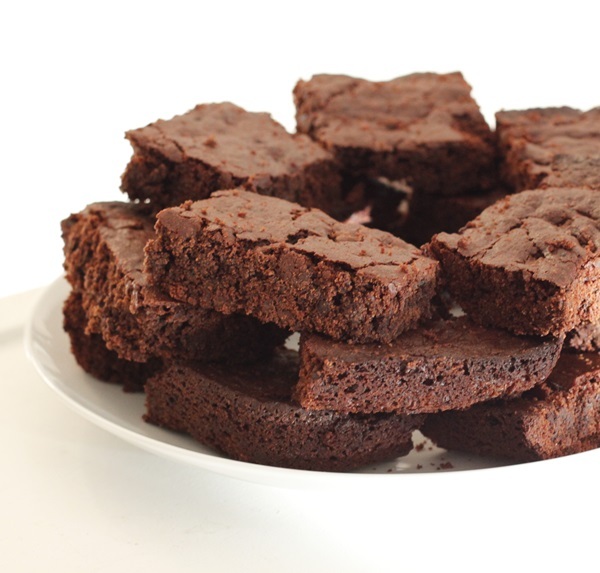 these delightful vegan brownies from So Delicious will be loved by all chocoholics. 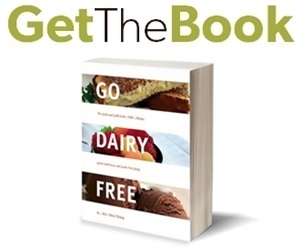 What many people don’t realize is that chocolate, cacao, is naturally dairy-free. This means that plain cocoa powder (not hot chocolate mix) should always be dairy-free, and many brands are even processed on dairy-free lines. Unfortunately, this isn’t always the case for prepared chocolate bars and chips. Many brands have dairy milk ingredients added (even the dark and semi-sweet ones! ), and most are made on shared lines with milk chocolate. For those with severe milk allergies, allergen-friendly chocolate chips do exist. If trace amounts of dairy aren’t a problem for you (we’re talking parts per million – just a wee little bit! 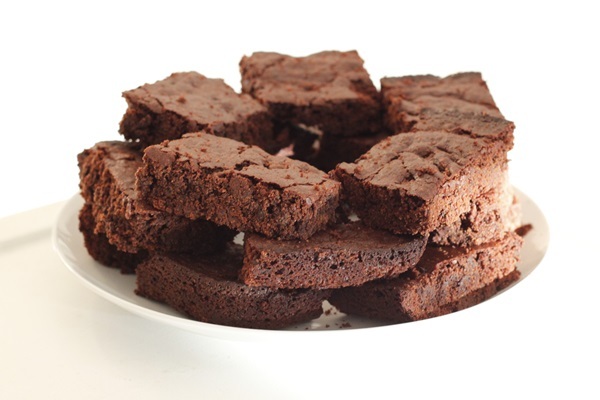 ), then check the labels, as many brands, including generic store brands, are dairy-free by ingredients and will be a welcomed addition to this vegan brownies recipe. For a triple-dose of chocolate, don’t hesitate to use chocolate coconut milk beverage in place of the original. It will add a bit of sweetness, too, so you may want to use just a scant cup of sugar if going the extra chocolate mile. 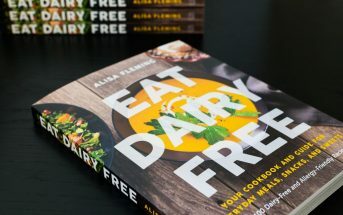 By ingredients, this recipe is dairy-free / non-dairy, egg-free, nut-free, peanut-free, optionally soy-free, vegan / plant-based, and vegetarian. Preheat your oven to 350ºF and lightly grease a 9x13-inch baking pan. Combine the flour, cocoa, baking powder, and salt in a medium-sized bowl, stirring well to fully incorporate the cocoa. In a mixing bowl, blend the together the sugar, oil, maple, coconut milk beverage, and vanilla. Fold in the dry ingredients stirring just a few times to incorporate without over-mixing. If some small lumps remain, that' okay. Gently fold in the chocolate chips. Spread the batter evenly in your prepared pan and bake for 35 minutes. Let the brownies cool completely before cutting to avoid crumbling. OMG Im alergic (not lactosoe) to dairy n any trace will kill me.I can know make deliscious goods!!! so thank you a lot!!!! 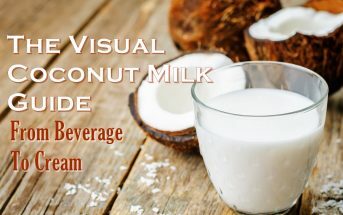 Was wondering if I could use Rice Milk or Oat Milk rather than Coconut. I am having to start making homemade baked goods, etc., due to sensitivies to soy, dairy, egg and others. I’ve found that the coconut milk upset my stomach. I’m finding my food sensitivities are growing as I get older. Annoying but it’s forcing me to finally start eating better. This recipe looks great for this Chocoholic! THANKS! Hi Cynthia, yes, almond, rice, oat, they will all work great! My question is the same as Dawn’s. I can tolerate eggs but have to eat gluten-free. Thanks in advance for any advice on how to adapt this recipe. Oh, I also cannot tolerate sorghum or sorghum flour. Use your favorite flour blend in place of the whole wheat flours. Thanks, Alisa! I want to try the first one. It looks so easy and I already have everything to make it! Fantastic! 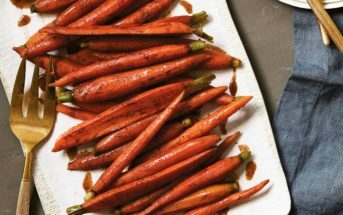 That recipe is from my kitchen and everyone here loves it – very dark and rich! What would you suggest to adapt for Gluten Free? 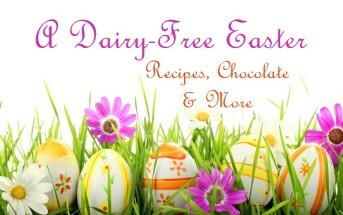 Do you need egg-free and gluten-free?